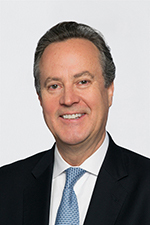 (Albuquerque, NM) The Anderson School of Management welcomes Douglas L. Peterson, President and CEO of S&P Global as part of the McKinnon Distinguished CEO Lecture Series. On Wednesday, April 3, Mr. Peterson will discuss “The State of the Global Economy, Risks to Growth and a Path to a Greater Good.” The event at Hotel Albuquerque begins with a reception at 5:00pm and the presentation at 6:00pm. There will be time following the talk for questions from the audience. The public is invited to attend the reception and presentation at no cost, however, seating is limited and reservations are required. RSVP through the Anderson School website at https://www.mgt.unm.edu/events/ceo-lecture-series/ or by contacting Megan Borders at mborders@unm.edu.